Giotto’s new professional optical screen protector "AEGIS". The rigid optical glass from　"SCHOTT" Germany, protects the LCD panel against abrasion, scratches or impact. Multi-layer efficient anti-reflective coatings can help with clarity and color blindness. 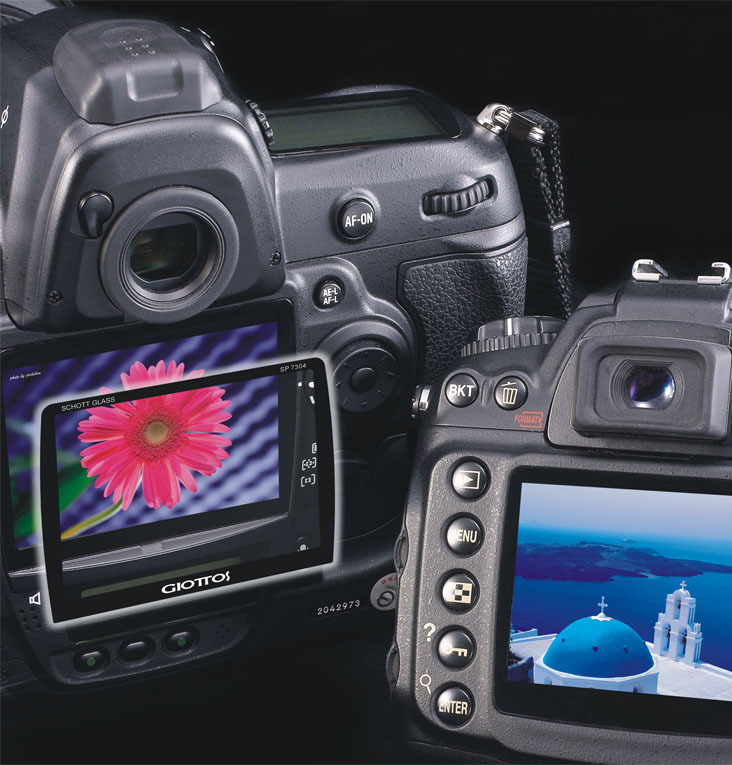 No more residual image and ghost image, always high definition and transmission on your LCD screen. Suitable for all digital cameras and DVs. 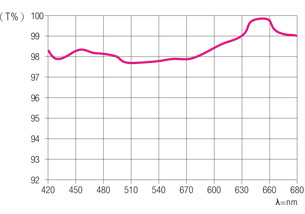 Translucent glass from Schott Germany: thickness is 0.5mm±0.05mm; Light transmission is above 98%. ② No air bubbles or color casts. ③ Completely protects the-LCD and working display. ④ Adds reinforcement to the LCD, the rigidity of the glass surface reached 8-9 and the elastic pressure is 4KG/CM2 which can withstand many impacts. ⑤ Good rigidity, protects lcd panel against abrasion, scratches or accidental impact. ⑥ Uses 12-layer AR Coating technology of LEYBOLD Germany to improve the transparency and withstands UV, protecting LCD, improving the color quality and prolonging the working life of the LCD. 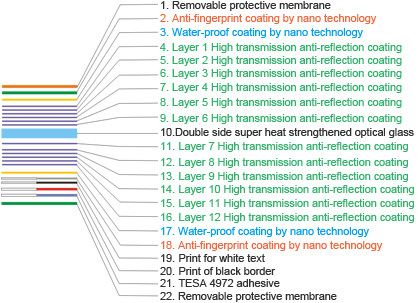 ⑦ Fingerprint and water-proof repellent coating with nano technology. ⑧ TESA 4972 double side tape. 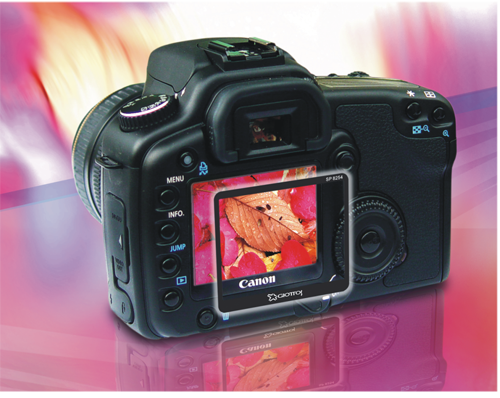 It is easily mounted, seals the LCD and prevents-the liquid or, dirt from reaching into the inside of LCD and display. ⑨ The protective screen is specially processed and made from imported glass material which is resistant to damage by acid or alkali to the LCD screen in order to prolong the working life of LCD. ① Quick and efficient cleaning for grease, finger prints, dust, rouge marks, etc. ② Micro-fiber cloth, super soft and safe for optical surfaces, no sticking fibres after use. ③ Use either wet or dry, same performance after washing. ④ Excellent performance on camera lenses leaving no streaks as well as on AV devices, cell phone screens, discs, glasses, computer screens, jewel, crystal, silverware, etc.